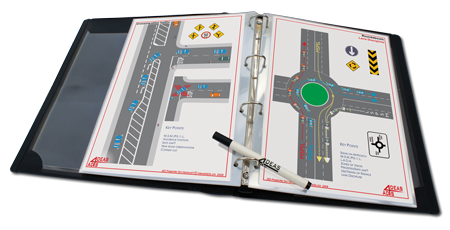 We have produced the following product range especially for ADIs in the Republic of Ireland, featuring Irish road signs and layouts. Our Training Aids are designed to help the instructor and pupil get the most out of every lesson. 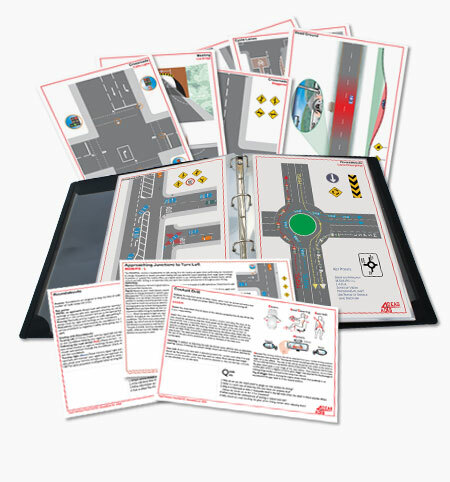 The ADI Lesson Presenter covers all the key subjects within the RSA driving syllabus and is professionally illustrated and produced for easy in-car use. Add to this the Expansion Pack and you have the most comprehensive RSA ADI training aid available. Our full colour Pupil Handouts, which you can personalise with your school details, compliment the presenter and provide the professional instructor with an excellent pupil study aid and marketing tool to complete the training package. This indispensable visual aid will last for years and give valuable support to any ADI whether recapping, briefing or discussing lesson topics. 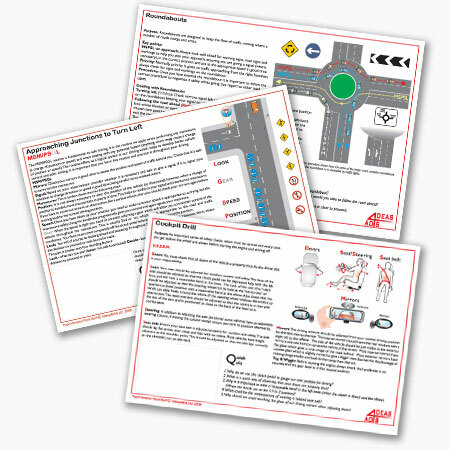 20 sets of 25 full colour A4 handouts to help prepare for and recap lessons delivered in-car. This equates to only €4.00 per pupil, or 16c per handout, spread over a course of lessons. The handouts are designed to compliment the ADI Lesson Presenter maintaining continuity throughout their learning. 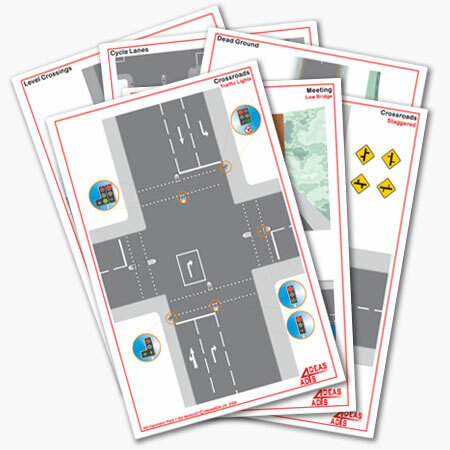 Produced to the same high standards, Expansion Pack 1 compliments and enhances the ADI Lesson Presenter by providing 14 new illustrations to support the ADI in delivering quality lessons.